Hon. 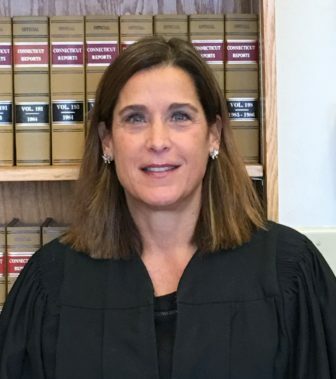 Barbara Bellis, a judge with the Superior Court in Bridgeport since 2003, will talk about how the court resolves civil and criminal cases on Wednesday, May 2, 2018, at the Darien Men’s Association. Judge Bellis will explain how cases are handled from filing to disposition, the difference between civil and criminal cases, and how the court responds to self-represented individuals. She is a graduate of Boston College and the Catholic University of America Columbus School of Law. Her talk starts at 10:45 a.m. and is open to the public. Guest passes are available at the membership desk just outside the meeting room. DMA meetings are held at the Darien Community Association, 274 Middlesex Road, Darien.